We know you love your vehicle and that you would do anything to see that it’s hale and hearty to take you to your destination - be it work, leisure, sport or simply a long, long drive. 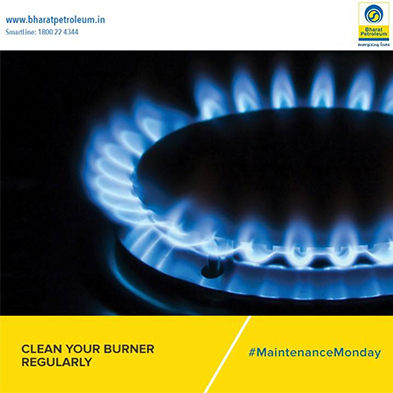 At Bharat Petroleum, we love to energise every journey you make, which is why we thought of sharing a tip a day, every Monday! 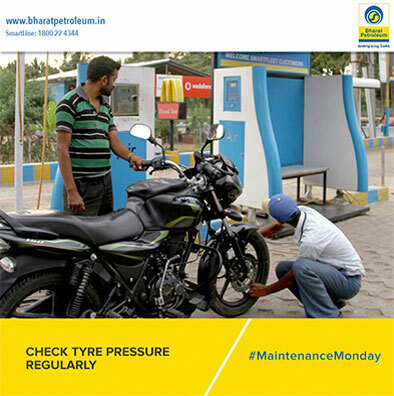 Of course, every day is a perfect day to love your vehicle, so you can tune in to this page anytime, or follow us on BPCL Social, where we promise to remind you, what it takes to love your machine! 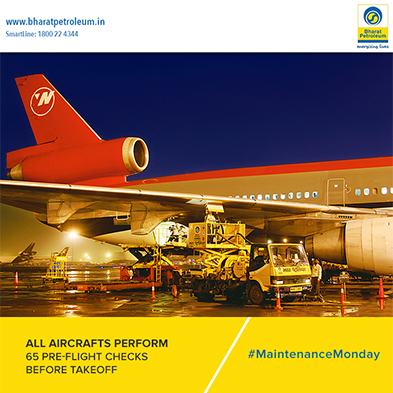 Just search for #MaintenanceMonday. 1. Open your car’s hood and locate the dipstick. 2. 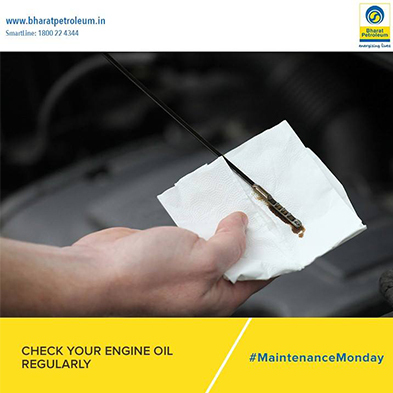 Pull out the dipstick and wipe any excess oil. 3. Insert the dipstick again. 4. Remove the dipstick and check the oil level. 5. Refill your engine oil accordingly.